All fabric to complete top with all Cosmo floss included. 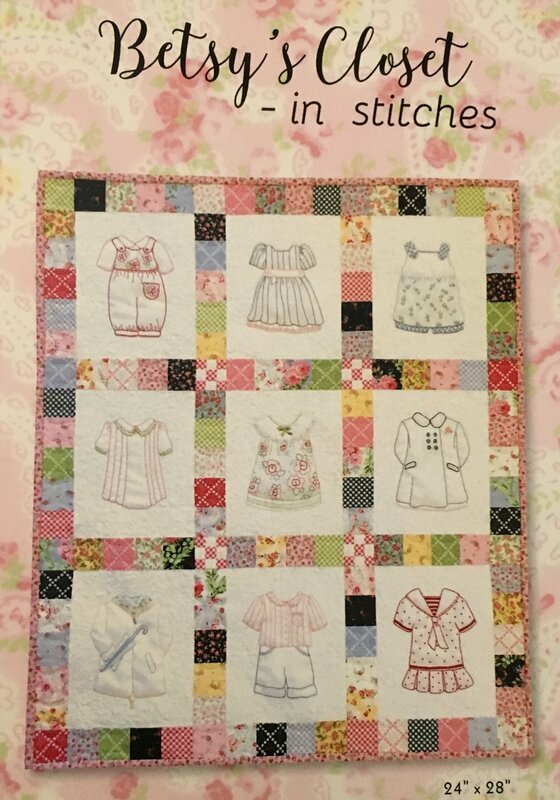 This is a darling little quilt or wall hanging. Measures 24" X 28" when finished . Designed by Brenda Riddle. You will receive all the fabrics for the top , pattern and Cosmo floss to complete the top. Nicely written pattern . Easy embroidery with instructions on stitches. A must have for that little girl or the little girl in you .